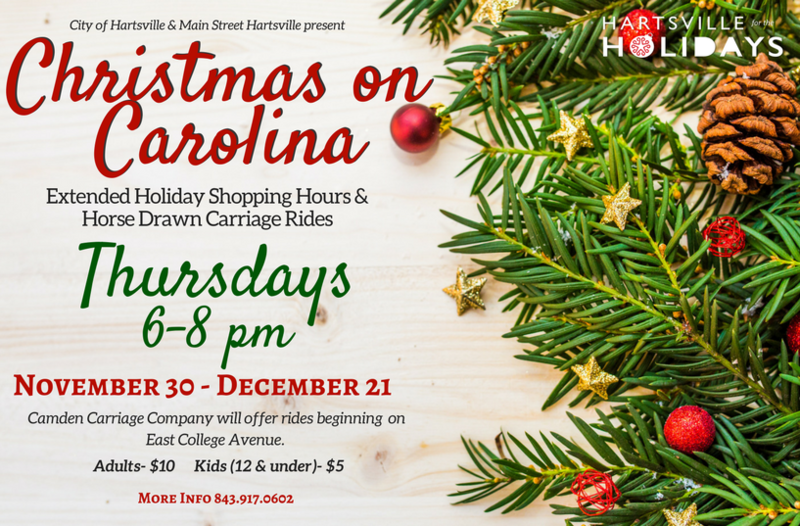 Join us downtown for horse-drawn carriage rides and extended holiday shopping hours every Thursday through December 21 from 6-8 PM! The carriage will pick-up and drop-off in the Entertainment District on East College Avenue downtown. Tickets for carriage rides are $10 for adults and $5 for children twelves years of age and under. 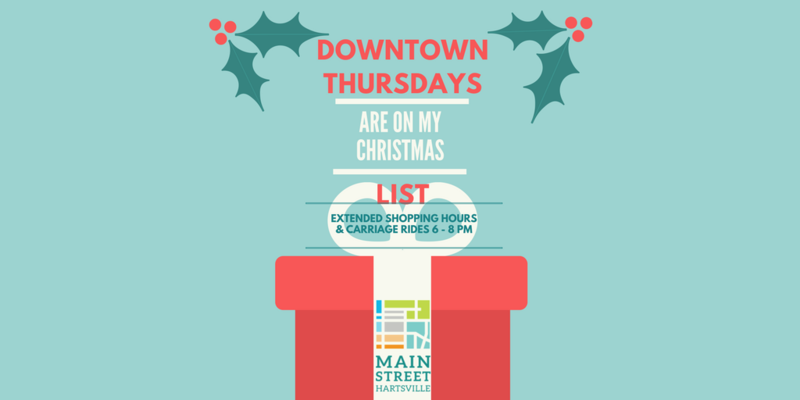 Visit HartsvilleForTheHolidays.com for full details about all of this year’s holiday activities.